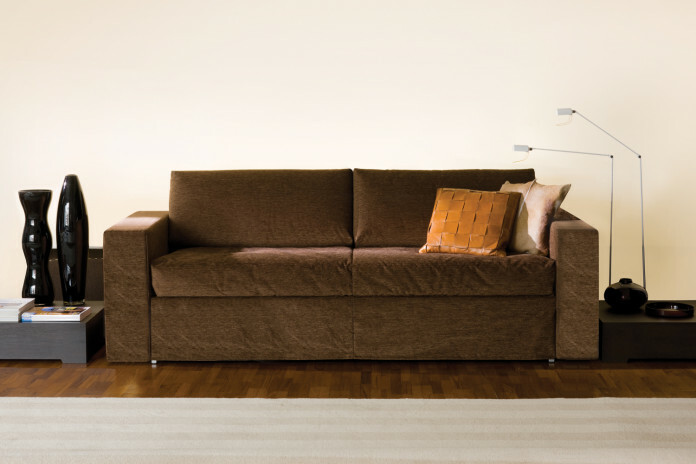 Frank is an Italian sofa bed with an extra mattress available in single, twin or double models. Also with two big drawers. 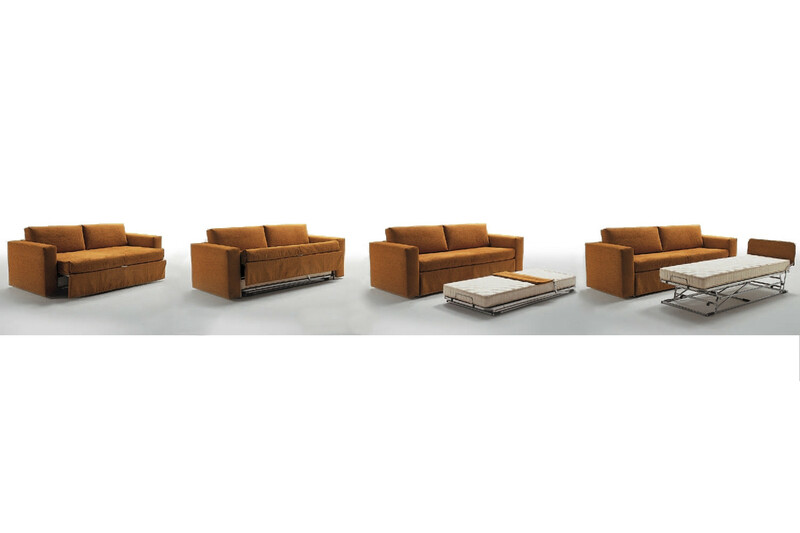 Armrests available in three models. 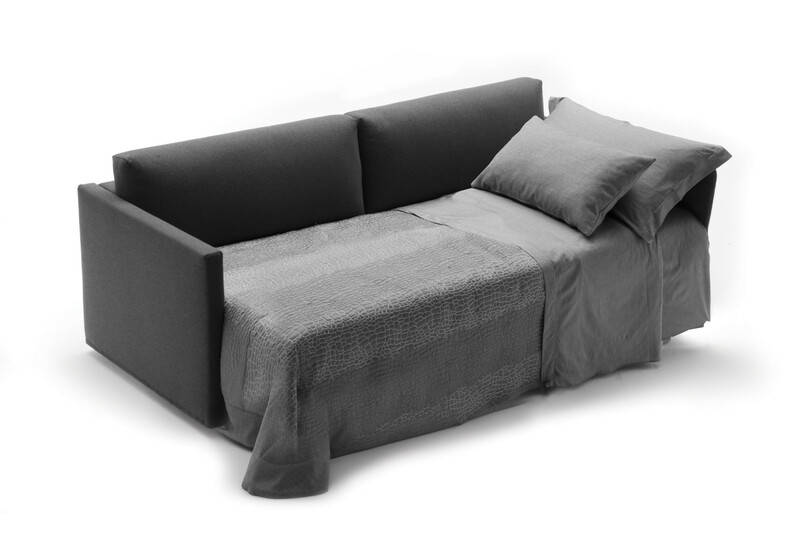 Frank is a sofa bed with an extra mattress convertible into a single, twin or double bed. 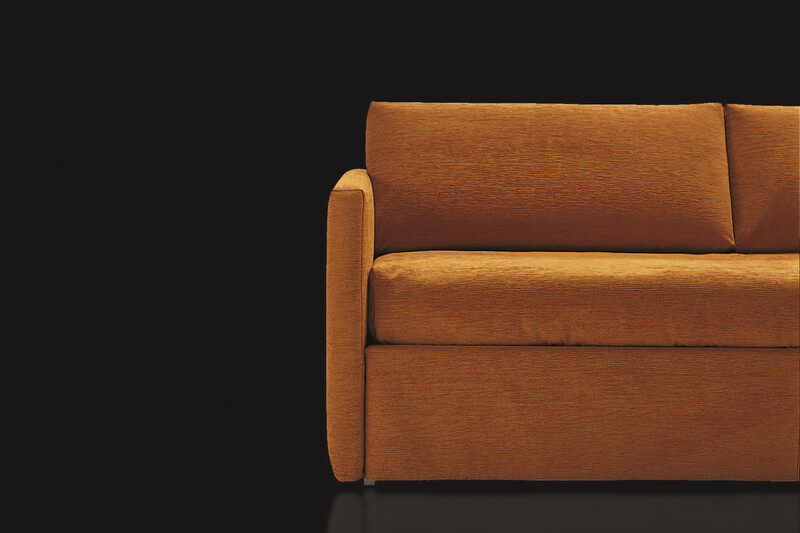 It is a great space-saving solution: three armrest models with different thickness allow you to choose the sofa bed in the dimensions most suitable for your space needs. 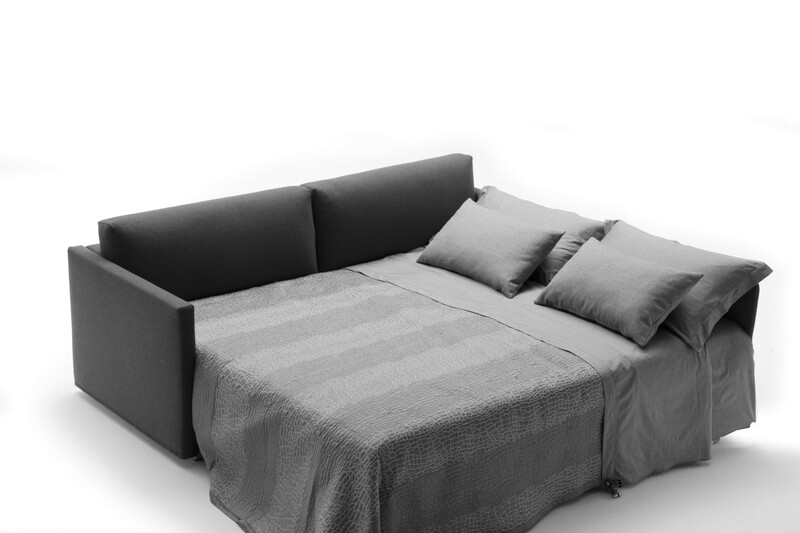 The single bed can be obtained by simply sliding the sofa towards yourself, making it 1 metre deep only. 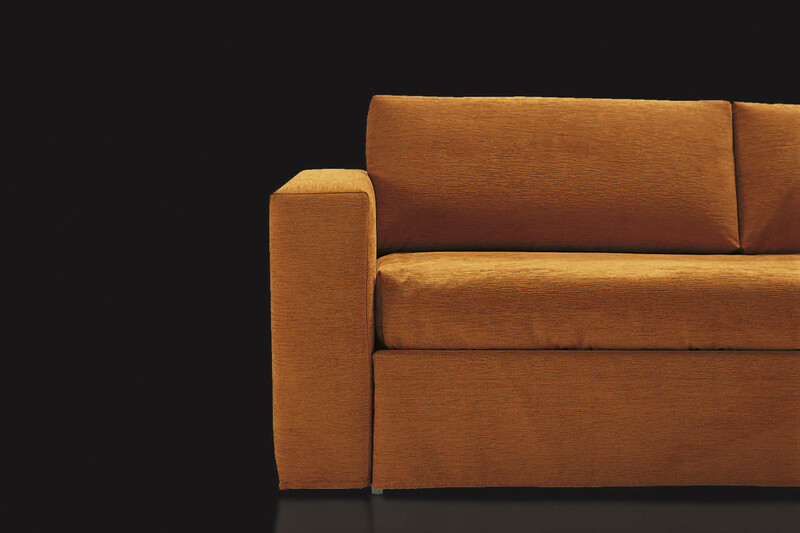 The backrest cushions don't have to be removed. To obtain a double bed, all you need to do is placing the second pull-out bed next to the sofa, obtaining a total depth of about 2 metres. Of course the extra bed base and mattress can also be used on their own. As an alternative, the single sofa bed can also be equipped with two spacious metal big drawers, useful to store the bed linen and pillows. 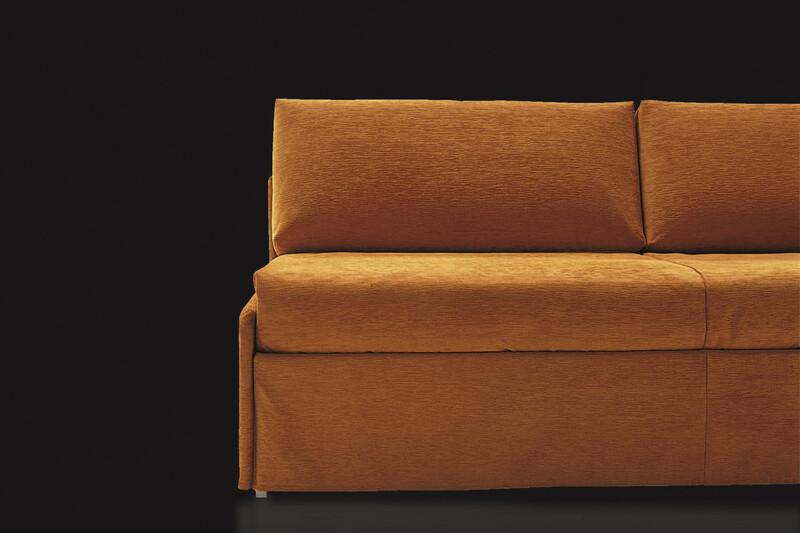 The sofa bed is equipped with a cm 80 d.193 h.14 standard mattress with Bonnel biconical springs. As an alternative, several other mattresses with pocket springs, in polyurethane and latex are also available. 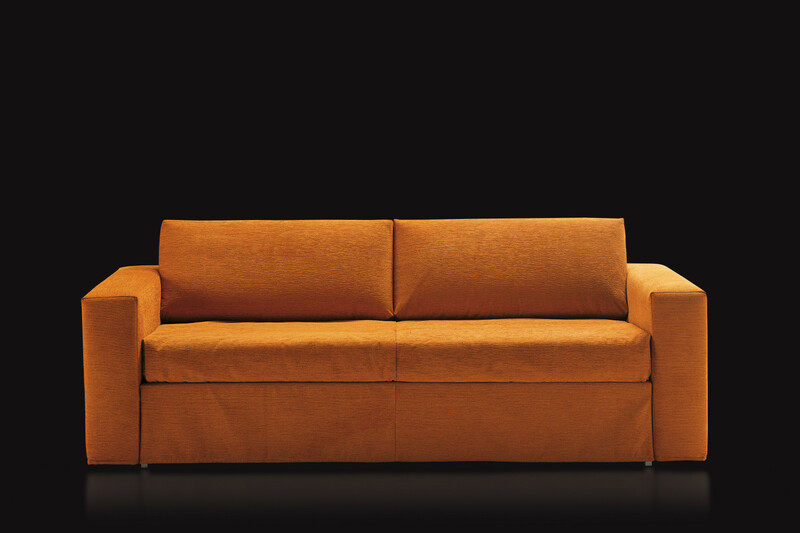 Frank is available in fabric, eco-leather and leather in several colours and its cover is completely removable. 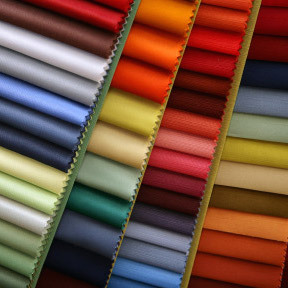 Covers and colours are displayed in the Milano Bedding samples page. Mechanism or structure: high resistance furniture tube, oven coated with epoxy powders. Bed base made of plastic coated electrically welded steel mesh. Mechanism opening and closing in one time without removing the backrest cushions. Optional pull-out camp bed with headboard. Bed Base: electrically welded steel mesh. Standard mattress: springing in tempered steel with a diameter of 2,20 mm; 1.300 g/m² needled felt on top and bottom; 25 Kg/m³ expanded polyurethane padding; 30 Kg/m ³ side paddings; 100% cotton top fabric with hypoallergenic 100% PL resin fibre; bottom fabric in interliner combined with 2,5 mm expanded polyurethane; side with aerators quilted with expanded polyurethane. Structure: solid fir wood, particle wood and poplar plywood. Non-bearing elements in particle wood. Backrest: 21 Kg/m³ expanded polyurethane; 380 g/m² 100% PL needled fibre combined with interliner. Structure: 30 kg/m³ expanded polyurethane covered with 2,5 mm 3-layered interliner. Seat Cover: g. 200/m² 100% polyester wadding lined with polyester/cotton cloth. Dry cleaning.